If everything was good, then nothing would be good. I am almost finished with this excellent science fiction YA novel. It is about an alien invasion and their battle with humanity over our home planet. The above quote is from Cassie, the protagonist and one of the few human survivors. She was assessing her current situation in an attempt to make sense of everything and stay positive. I don’t know why, but it reminded me of a little action research project I did this year. 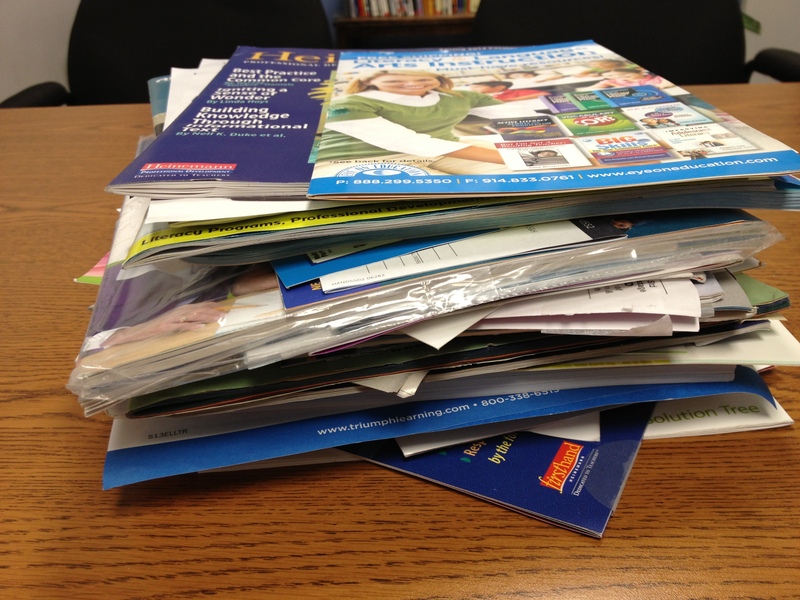 Every day at school, I receive many booklets, flyers, and envelopes from educational publishers. I was curious about how many of these companies advertised themselves as “Common Core-aligned”. So I started a pile. Anytime I received a new piece of mail with Common Core State Standards (CCSS) somewhere on it, I threw it on the pile. That’s a big pile of Common Core! Each artifact is a unique document. No two are alike. I was very surprised by the variety of products that could by aligned with CCSS. My two favorites were keyboarding software and interactive whiteboards. Seeing this pile led me to consider the following question: If everything is Common Core, is nothing Common Core? Maybe I need to write a follow up post about what resources are truly essential for addressing the Common Core (a teaser – they are in schools right now). Hehe. Everything that students can read can be used to meet CCSS (or any other country’s) reading standards.